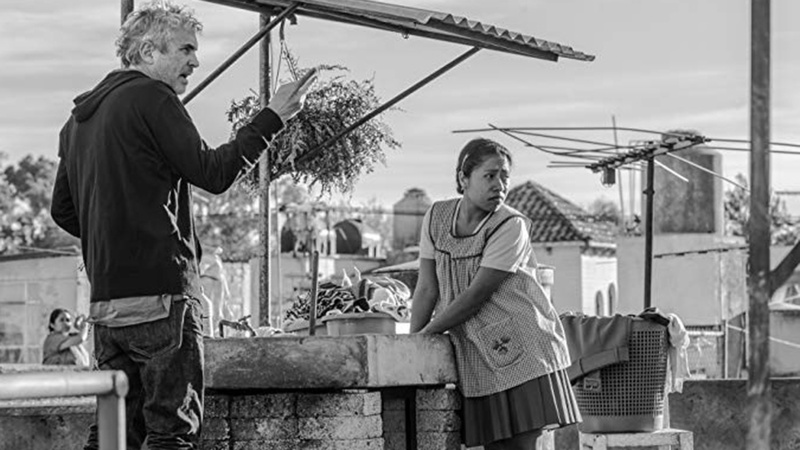 ‘Roma’ director Alfonso Cuarón and star Yalitza Aparicio Photo courtesy of Netflix. 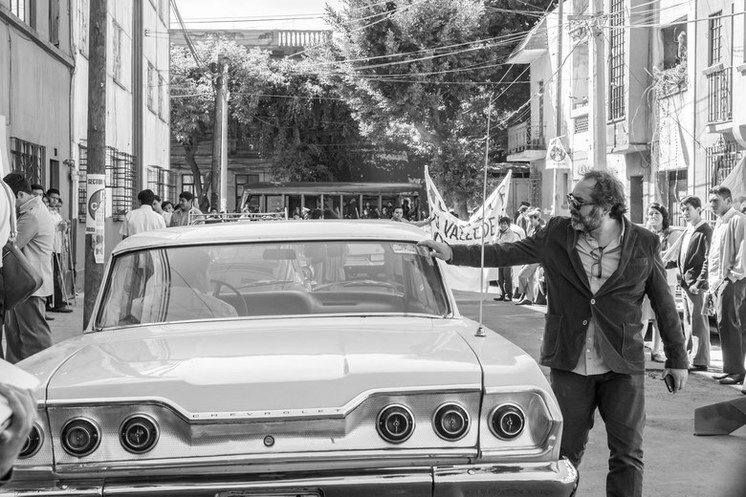 “Roma” is a black and white film that draws directly from director Alfonso Cuarón’s childhood. 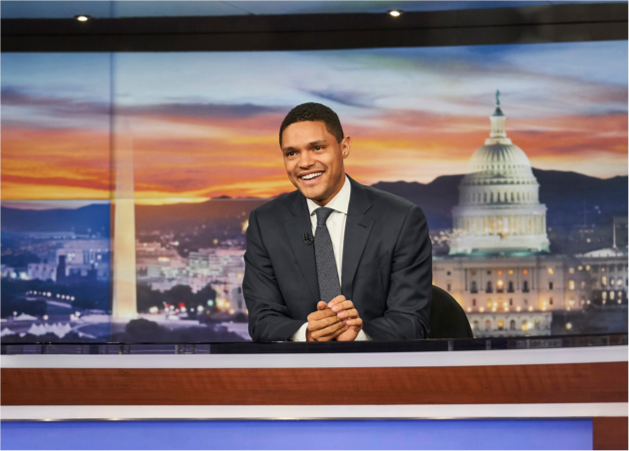 The celebrated filmmaker grew up in an affluent household in the bustling “Roma” district of Mexico City and the movie captures a period of strife in his family and his city in the early 1970s. At the story’s heart is Cleo, the live-in housekeeper from a poor village who is a rock in his life, even as she faces her own challenges. She is based on Lebo, the actual woman who helped raised Cuaron and his siblings. 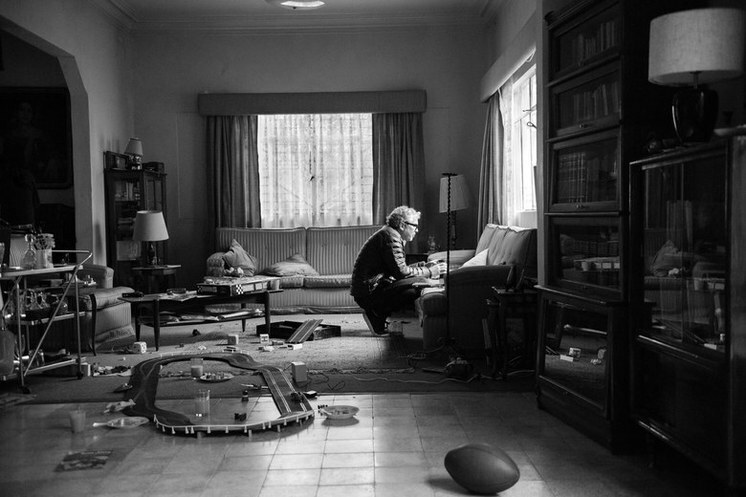 Eugenio Caballero is the production designer tasked with recreating Cuaron’s home and his surroundings in this period. The 70s is fashionable right now, but he says he and Cuarón were not interested in making a “vintage” period piece. Rather, they wanted the reality of the past when life is filled with furniture, architecture and cars from a mix of periods. “When you see the reference pictures of Mexico in the 70s, you had things from the 40s, from the 50s,from the 30s. Things didn't change that fast back then,” Caballero said. The other challenge was to make a beautiful “modern black and white” film. “We wanted it to look like something that you shoot with a digital camera and then basically you change it to a black and white scale,” explains Caballero. 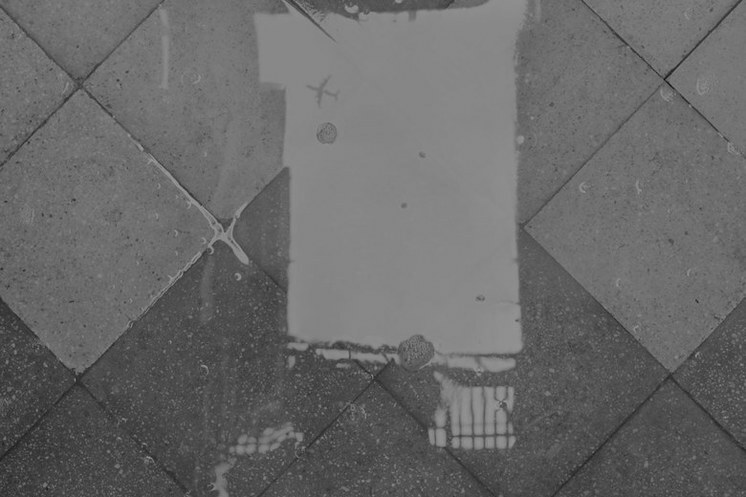 At a recent press event at Raleigh Studios in Los Angeles, Caballero showed DnA items used in the sets, starting with the tiles on the floor in the opening scene in which water runs towards the drain. Cuarón had told Caballero that the garage of his childhood home had checkered tiles that were popular in the 1930s. So the design team hired a very elderly artisan to make custom handmade tiles for the film. “We were all suffering because the time that he took to make the tiles were way longer than the normal time that you will expect something for the film business or for creating a set. But at the end I think it paid off,” Caballero said. This kind of intense level of detail is a hallmark of the movie. After all, you don’t even see the colors of the tiles. The pinkish red and yellow and their texture were picked according to how they would look in black and white. “Roma” is now open in select theaters and is streaming on Netflix. Since its sound and visual experience is so intense, it is well worth viewing in the theater. Production design helps to serve the storyline and characters in a film or TV show, but is it meant to whet your appetite to buy stuff?